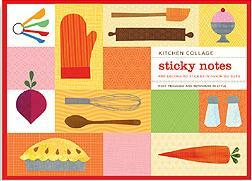 Nithu's Kitchen: Nithu's Kitchen Completes 6 months today with 150 posts! 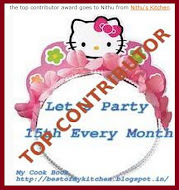 Nithu's Kitchen Completes 6 months today with 150 posts! Today's post is just the recollection of all the important happenings in this blog in these 6 months. I started to blog on October 13th, 2009. The idea of starting a blog came to my mind when my sister and few of my friends kept asking me for some recipes. I was actually, sharing the recipes either through phone or by mail. Oneday, I started to blog just like that and my very first post was "Vermicelli Payasam". I wrote like this in that post "I just wanted to start my recipes blog with a delicious dessert. I chose semiya payasam because of the simple recipe and for the great taste." My first follower was my sister. But she never commented in the blog post till I requested her to write down her comments. I didn't know who actually commented first in my blog. Yeah, it was an anonymous comment for the post "Venthaya Dosai" on December 5th, 2009 and this was the comment "I like this recipe :)". My Legume Love Affair - 18 (December, 2010) was the very first event to which I sent my three entries Channa Masal, Karamani Karakuzhambu and Karamani Paruppu Usli. Then, my very first award, the Kreativ Blogger Award came from Aparna. She messaged"nithu , just collect the award for you 4rm ma side....njoyyyyy..i wanna try this recipe...:)" on my Ragi Idiyappam with Coconut Milk on 21st January, 2010. As you all know this blog's first event was "Think Beyond the Usual with Fruits" and it became a very successful event with all your support. I announced this event on 28th Feb, 2010. 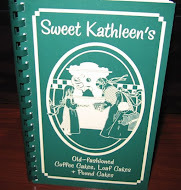 The idea of "Guest Post Series" was born when my mom and sister showed interest in sharing their recipes. The very first guest post was my sister's on International Women's day (8th March, 2010). She kick started the series well with a sweet "Fruit Halwa". Above all, this blog earned me 116 friends as of today :-) I'm proud that I got so many lovely friends around me within 6 months...so, for you sweet friends here is the sweet from my side. I'l come up with the recipe for this sweet tomorrow :-) Till then enjoy the sweet! Between, do you have any guess about the ingredients in this sweet??? Hey Congrats on ur completion of 6 mths. This is my first visit to your blog. Nice blog and yummy recipes. Do visit my blog also when time permits. Congrats on ur the Gr8 achievement !! wow..Congratulations dear.. I think it is based on carrot or Wheat flour..
Congrads Neethu. Really happy for u.. The same story of urs goes with me too. 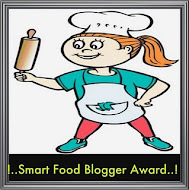 I started my blog in Aug09.Started to post in Oct09, FOR MY SISTER and one of my friend who always calls me during my office hours for recipes.Just last month did I get to know about the wast blogger world out there. Initially I had 10 followers who where my relatives mostly.Now I have 68 in total within 1 month. You have a lovely blog out there.Hope you can post more and more wonderful recipes and get more and more followers too.. I think its some kind of Halwa. Is it Carrot or Moong Daal??? I wish u "All the very best". Nithu ... 150 posts in 6 months and these many prizes and awards in this short span of time ? Thats seriously wonderful.Your dedication is shown here well da. I just cant believe it that u have done this technically in 4 months . Kudos da... great job .keep up ur good work . btw, that looks like thirunelveli godumai Halwa. I wish my guess is correct . Of all I like this guessing part most in your blog. Congrats, Nithu!!! Very impressive, especially in such a short time! Nithu congrats on completing 6months.looking forward for more recipes from you. Congrats on hitting such a fabulous milestone. I crossed 6th month quite recently as well..so yes, i remember how sweet it is. Sincere wishes to you to cross many more memorable milestones. Looks like you have been extremely lucky in winning friends and gifts! The sweet-- made out of sweet potato? Pumpkin? Congrats Nithu for the completing 6months. & Her Stuffed Capsicum... Mouth Watering Dish... I love Capsicum in any form.. I couldnt wait for tomorrow dear..
Congratulations for completing 6 months with 150 recipes.You deserve it...Am sure there is lots more coming your way too. Congrats on completing 6 months. So many achievements in short span. Is that pumpkin halwa? Congrats Nithu on 6 months and 150 posts. I love how you explain things and your thoughts so nicely. You are such a great interviewer. 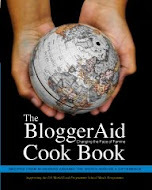 I love to read you blog and love your recipes. May many many more such months complete and we get to taste many many more such delicious recipes. Congrats on your 6 month and 150 post. Wishing you many more awards to win. Look like maida or wheat halwa. Any way will check tomorrow for sure. Congrats on ur 150th post nithu.. its really nice feeling to see back our works and success. Congrats again in achieving 150th post within short time. Keep up ur good work , all the best and the sweet is badam halwa i guess. If so plese parcel me some. Congrats for your 6 months and 150th Post. I really admire your hard work and dedication in creating this gem of a blog for all our viewing. I believe that within a short period you would surpass 300 as well. Dear Nithu,Congratulations on all your achievements.Wishing you many more of these successes.Must be pumpkin halwa/sweet potato halwa. Congrats on ur 150th post...U deserve it. congrats on your completion of six months. You have an awesome space here...hope you have many more milestones! I think the recipe is a recipe for a halwa...I think it has almonds(badam) and yellow pumpkin. 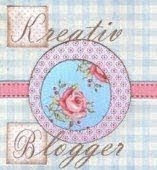 Congratulations on 6 mths of blogging! what an incredible journey u have had so far. looking fwd to many more yrs.... keep up the good work! Congrats on your awards. Great goin and wish you all success for many more years to come. My guess is maida halwa with nuts? Congrats on completing 150 posts and that too in 6 months!! Wonderful job Nithu..and wish you many more awards in future..
Is that carrot or pumpkin halwa? Congrats Nithu, thats really a wonderful milestone dear, keep rocking...Thats sweet looks like badam halwa..
congratulations Nithu, 150 posts and so many friends within 6 months prove the your quality work in this space!!! congratulations and enjoy !!! let me guess my ingredient in your sweet recipe, papaya, mango, carrot ??? I guess this might be almond or any fruit halwa. We entered the blogging world in the same time.. 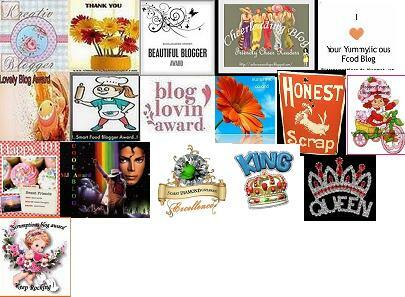 Wish to see u here in the blogging world 6K years..all the best..
We are waiting for the mystery sweet. When are going to post?? congratulations! 150 post already and in just 6 months? that's really great. I have started almost the same time as you did but you have done a lot more! enjoy the ride... keep blogging.. and i love your site already! congrats for ur 150th post..keep rocking Nithu!! இது என்ன பா பாதம் ஹல்வா வா? ரொம்ப புதுமையா ஆட் பண்ணி இருக்கீங்க. Hi Nithu, thanks for stopping by my blog http://tastefullyveggie.blogspot.com and leaving nice comments. You have a nice space with a wide variety of stuff covered. I must tell u that despite blogging for almost a year, I am still not great with getting in touch with bloggers. must work on that! 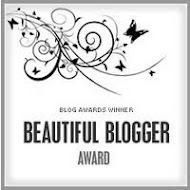 an award is waiting 4 u in my blog.